Royal Enfield is finally launching its highly anticipated Continental GT 650 and Interceptor 650 Twins today in India. The Royal Enfield 650 Twins are powered by the biggest and most powerful engine built by the Indian motorcycle manufacturer after becoming an Indian brand. Ahead of the launch the prices of the 650 twins have been leaked and there are eleven variants on offer. As per the leaked document, the price of the Interceptor 650 starts at Rs 2.34 lakh (ex-showroom, India) and the price of Continental GT 650 starts at Rs 2.49 lakh (ex-showroom, India), which makes them the most affordable 650cc bikes in India. The duo is said to have a mileage of 25.5 kmpl as per World Motorcycle Test Cycle (WMTC). Both the Continental GT 650 and the Interceptor 650 will be available in a variety of colorways and two distinct styles - Standard and Retro Custom. While the Standard range of colorways takes inspiration from the motorcycles of the 50’s and 60’s, the Retro Custom range is a bolder version of graphics and colors. Ever since the bikes were launched in California, they have created a lot of buzz on the social media about its price and positioning in the Indian market. In the Indian market, the bikes will compete against the likes of Harley-Davidson Street 750 and Triumph Street Twin. We have already tested the new bikes and for the first ride review of the bikes you can click here and for the official prices and specifications, you can watch the live launch of the Continental GT and Interceptor 650 Twins here. Click here for the detailed launch story of the Royal Enfield Interceptor 650 and Continental GT 650. Both the bikes will be available with 3 years/ 40,000 kms warranty. With its classic tear-drop shaped fuel-tank, quilted twin-seat and distinctive wide braced handlebars, the Interceptor 650 looks every bit the Roadster that it is. The motorcycle is equipped with classic 18” front and rear Pirelli tyres and twin shock absorbers, along with front and rear disc brakes with ABS. The gearbox is augmented by its ‘slip/assist’ clutch, that facilitates easy riding in traffic with a light feel, and prevents wheel-hop when downshifting gears – also a first for Royal Enfield. The engine has a strong low and mid-range performance, retaining the Royal Enfield character of accessible torque through the rev range. Also new to the Royal Enfield Interceptor 650, is the six-speed gearbox, especially developed for this motorcycle. The twin motorcycles are powered by the first modern Royal Enfield 650 twin engine. This new platform is a single overhead cam, 8 valve, air/oil-cooled, 648cc parallel twin, producing 47bhp and 52Nm. Royal Enfield Interceptor 650 have a more upright riding position while Continental GT 650 is a pure Cafe Racer. 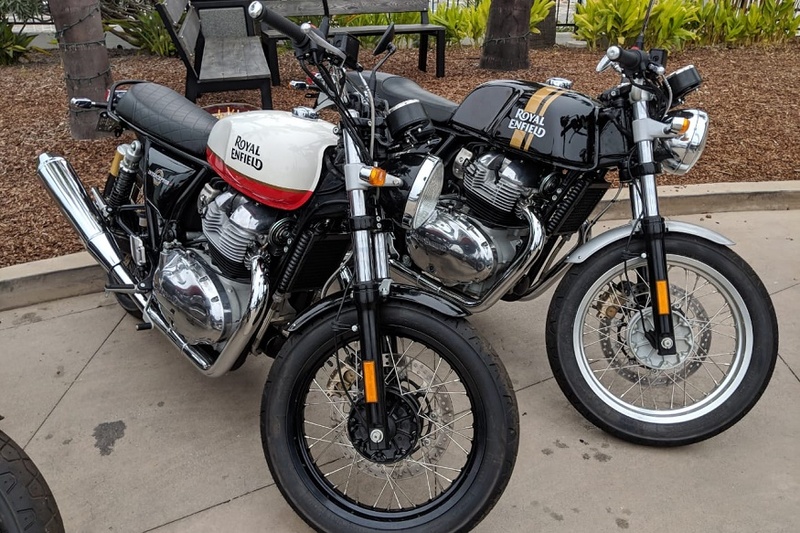 Here is how the Royal Enfield Interceptor and Continental GT 650 twins look like. There are 3 million Royal Enfield owners in India. 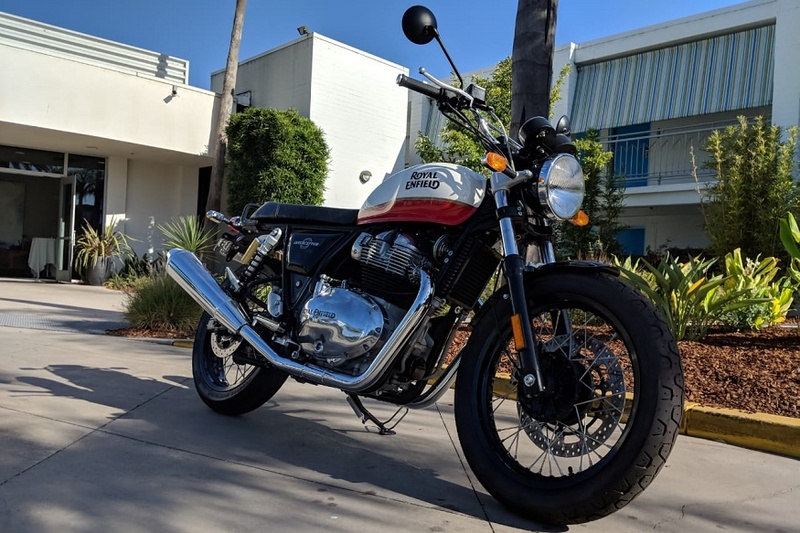 The prices of the Royal Enfield Interceptor 650 and Continental GT 650 have been leaked online ahead of the launch. Read the story here. Royal Enfield sold 820,000 motorcycles in 2017 alone. One of the fastest growing Indian bike manufacturer. Here is our first ride review of the Royal Enfield Interceptor 650 and Continental GT 650. This is how the Royal Enfield Interceptor 650 looks like. For more images click here. Royal Enfield 650 Twins will be the biggest motorcycles in company's history ever since it became an Indian brand under Eicher Motors. Currently, the biggest engine produced by Royal Enfield is the 500cc unit which also happens to be the biggest engine by any Indian manufacturer.